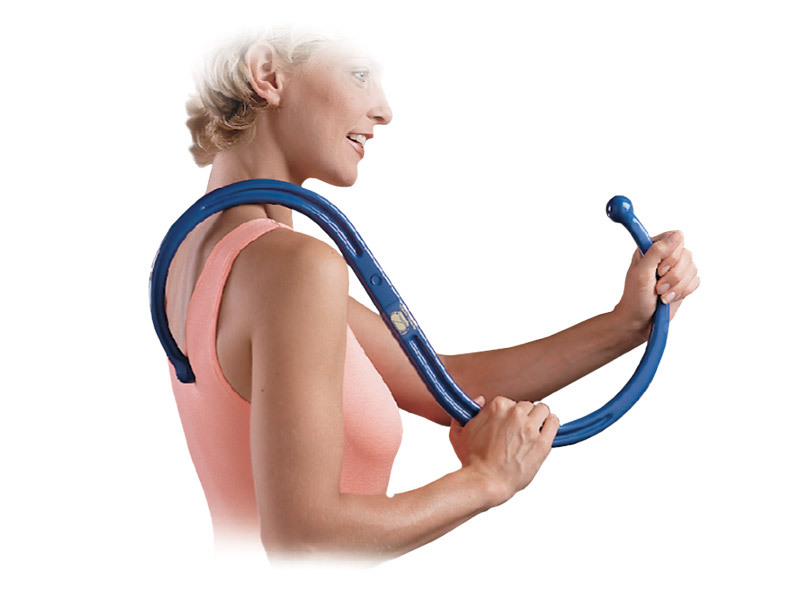 This simple, meticulously designed, deep-muscled massage tool provides a way for people to manage chronic muscular pain both on their own and in conjunction with professional medical treatment and therapy. 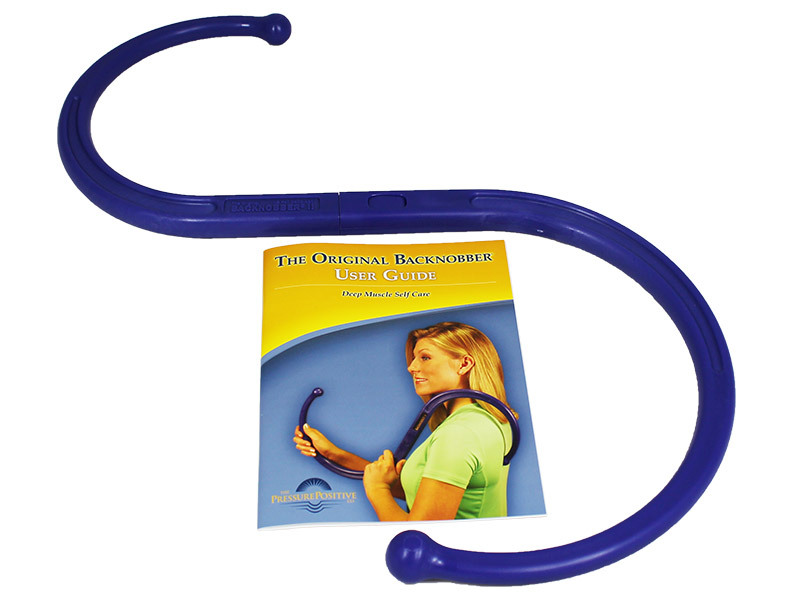 Made of a highly durable, polymer composite, molded in the shape of an `S`, the Backnobber II device is designed to be hooked over the shoulder or under the arm so that one of the two ends can be pressed into any of the muscles of the upper or lower back or neck. The Backnobber II`s ergonomic shape and dimensions allow the user to apply as much pain-releasing pressure for as long as required to achieve its remarkable effects. This is great for treating your own back, bought this for my daughter's partner for his birthday! The knobs are the wrong size and slide about if using over clothes. 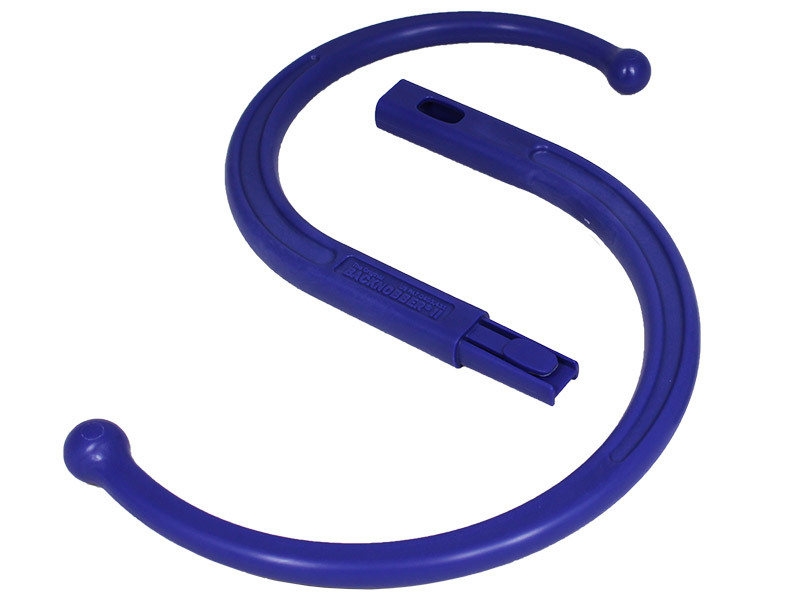 It seems to be designed wrongly for being able to get sufficient pressure to target areas comfortably. You’d be better off using a tennis ball under your back and rolling over it.